Use Stripe Rite paint to create detailed custom designs with the precise striper brush. Apply over your polish and seal it with Nail Art Sealer. Use your imagination and get creative! Water-based formula. Click here for nail art gallery. 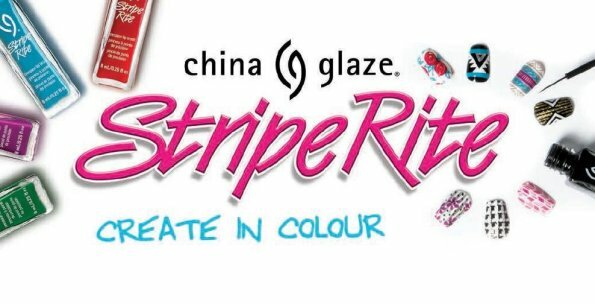 Take your manicure from mundane to magniﬁcent with our brand new Stripe Rite stripers available in an array of brilliant shades & ﬁnishes. Our user-friendly ergonomic cap and super-ﬁne tip brush allow for precise details, giving you the freedom to create customized mini works of art at your ﬁngertips. With CG Stripe Rite the nail artistry possibilities are inﬁnite. Get your stripe on! Water-based formula.